Another SAGA convention has come to a close. I apologize for the lack of photos. I was the worst photo taker ever. I even lugged that heavy camera everywhere with me. Oh well. It didn't deter me from having a good time. It was a long drive to Frisco, TX but an easy one. Good company, good weather and an uncomplicated route made for a a pleasant trip. And a stupendous bellman at the hotel. They are a gift from heaven for sure! It takes a lot to have this much fun. I wasn't able to take any pre-day classes this year though I heard good things about the ones that were offered. My first class was Perfecting Bullions with Susan O'Connor. Good class. This sweet bullion rose looks pretty good. See anything wrong with it? Its on the doodle cloth! The one on my hand towel looked like a pine cone. I didn't take a picture of that. (See I have total control over what you see. I don't show pictures of the carpy stuff.) 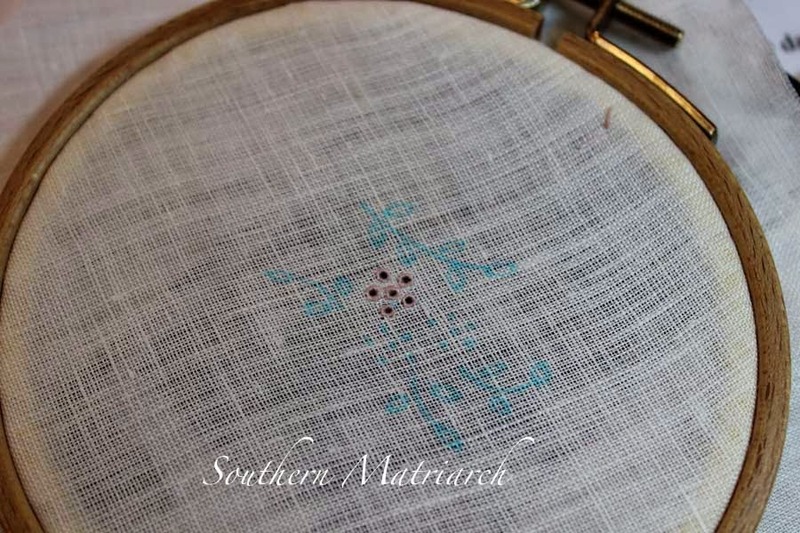 I learned quite a few tips that I hope I can remember when it is time to stitch some on the real project. Must remove those pinecones first. Believe me. Next up a highlight of the week for me, Show and Share as well as Design Show. I love seeing what others are working on and being inspired by the amazing talent shown. Another first for me was entering a garment into the Design Show. I had never done that before. It paid off. 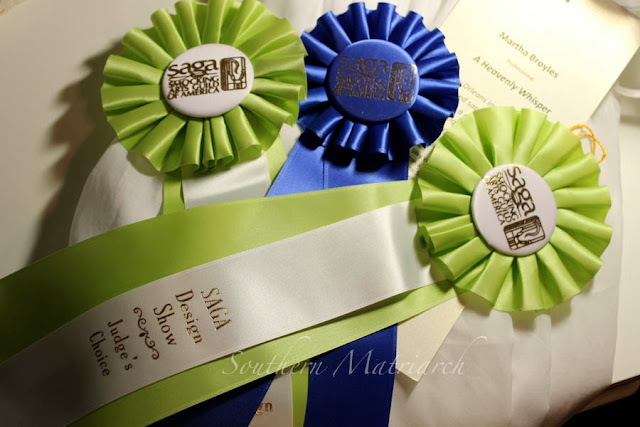 A blue ribbon and two judge's choice ribbons for my entry. (Sorry, the garment is still under wraps. Soon.) I am a tad odd perhaps in that I look forward to the critiques. I want to know how I can improve my skills. Since this was my first time to enter Design Show I didn't know what to expect from the critiques. They were wonderful point wise but there wasn't a whole lot of feedback. The forms aren't set up that way. All that being said, I am thrilled to pieces to have been awarded with my ribbons. A real honor. Plus I received 5 Artisan points for the blue ribbon. 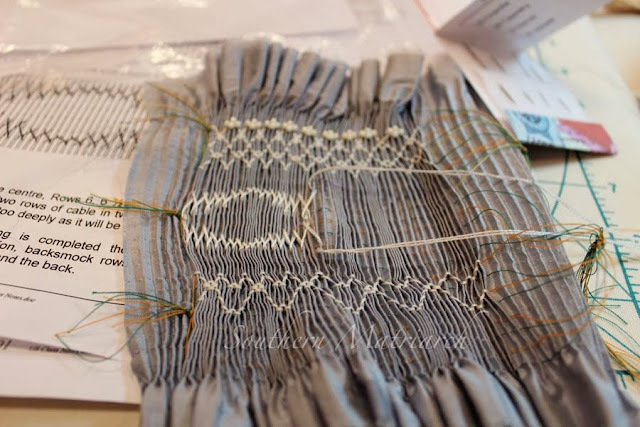 Friday's class was Two Lovely Openwork Stitches with Jeannie Baumeister. This was her inspiration for this class. The class featured the pin stitch as well as Bermuda Faggoting also known as Point Turc. Here are my two practice samples. Each one stitched with a different weight thread. I like the one on the right but the teacher likes the one on the left better. Hmmmmm. Jury is out to which one I will try on my pillowcase. Friday afternoon brings the retail market. There isn't a picture of this event to be had, I was too busy. I was helping my friend Jan, aka Bessiemary, in her booth. 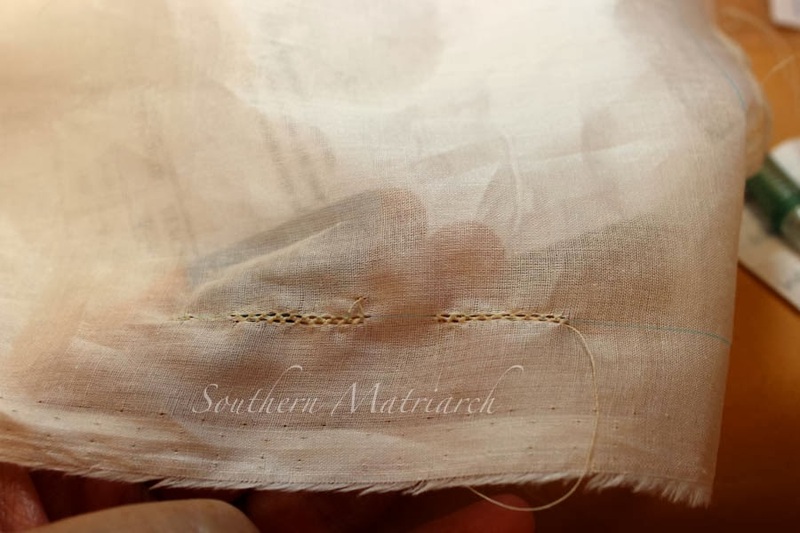 How fast can you measure and cut lace? Whewie, we were busy. Which was great for Jan.
My Saturday class was Miss Buford's Bonnet also with Jeannie Baumeister. Love this class. It was probably my favorite. These are my practice eyelets. It is a sweet bonnet and a great take along project. 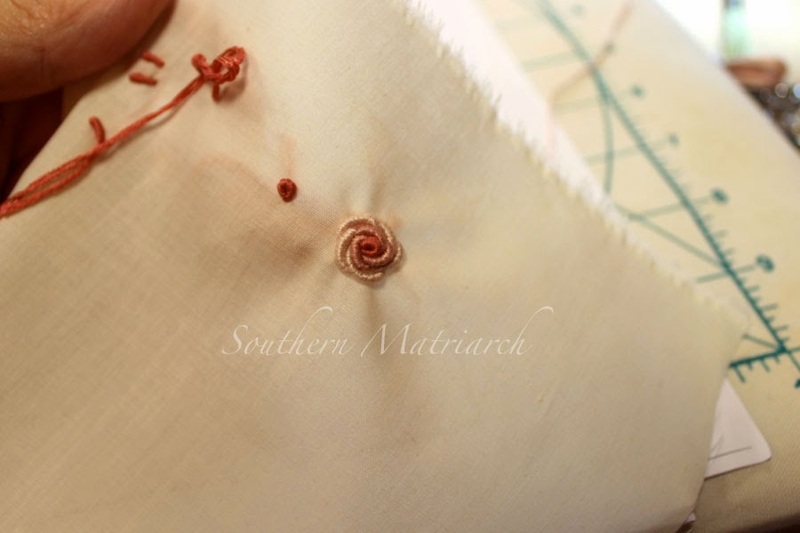 Eyelets and linen, how can you go wrong? 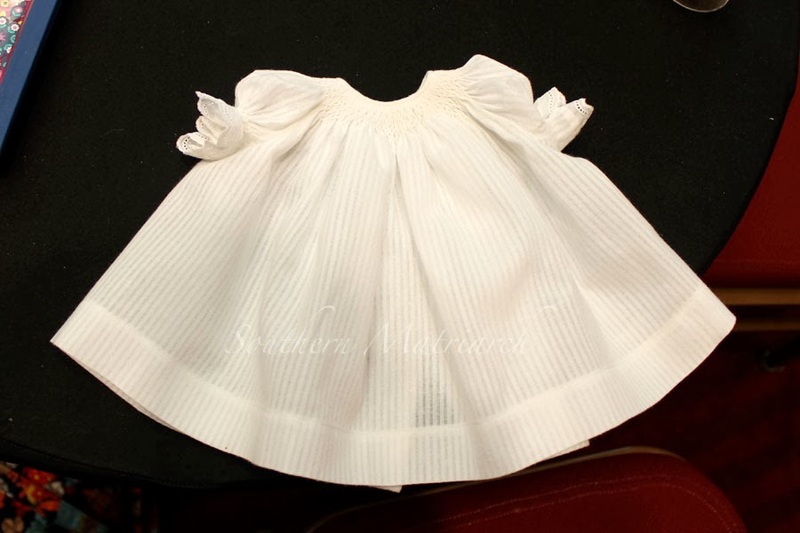 Saturday was the last day to get your Wee Care gowns turned in. I had another gown cut out from the same pattern I used a couple of weeks ago. You can't tell in this picture that the gown is still damp from washing out the blue marks. I didn't get a good picture of the Wee Care display, this is the photo from SAGA's facebook page. 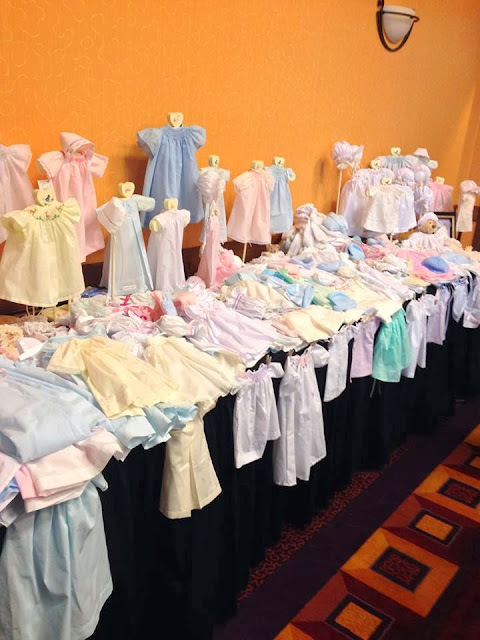 Almost 800 gowns were collected for Dallas area hospitals. A wonderful testament to the stitchers of SAGA. Saturday morning was also the deadline to turn in Raffle baskets. Baskets are a highlight of every convention. You would think these women never had a chance to win anything before. This is my chapter's basket. 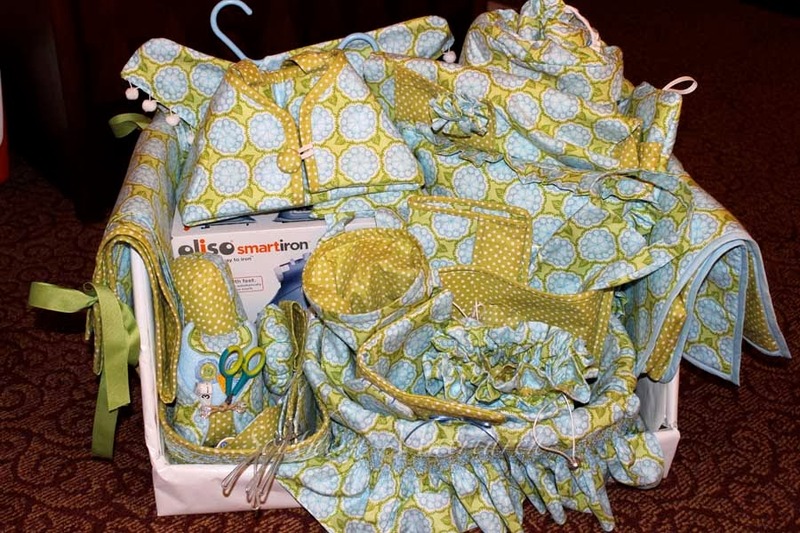 It is loaded with matching accessories for a sewing room. The recipient of this basket was pleased as punch to get it. This fabric was one of her favorites and one she had planned to use in her sewing room. Our basket had lots and lots of tickets in its box. A hit. I did win TWO baskets myself this year. I neglected to take photos of them before I dismantled them to travel home. One basket was in homage of the Royal Baby. Some great fabric, trims, pattern and book as well as a commemorative mug marking the occasion of Prince George's birth. Too funny. The other basket was chock full of notions and drafting tools as well as a couple of books on pattern drafting and fashion sketching. I look forward to studying those more. Some good stuff in there. In case you are mistaken and think we only stitch and buy raffle tickets, we also eat really well. 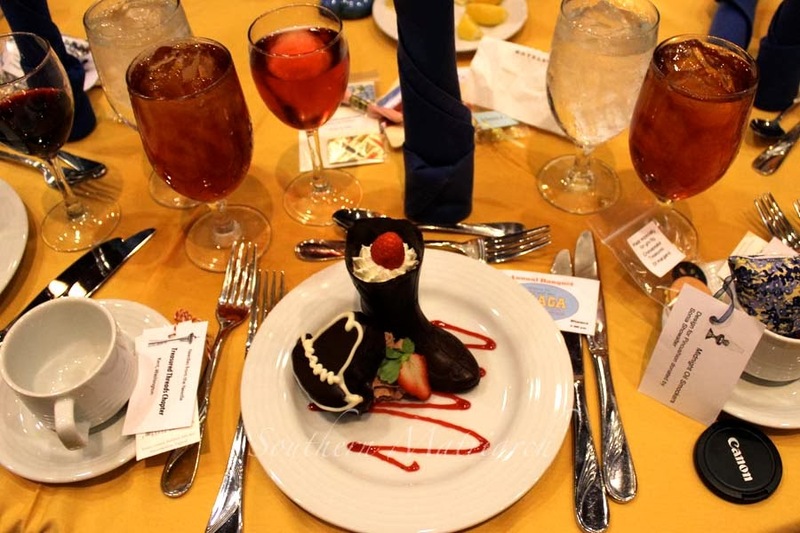 This adorable dessert was for the Saturday night banquet. Chocolate boots and hats. How fun is that? You can also spot some of the table favors that are given out at each meal. This brings us to Sunday. 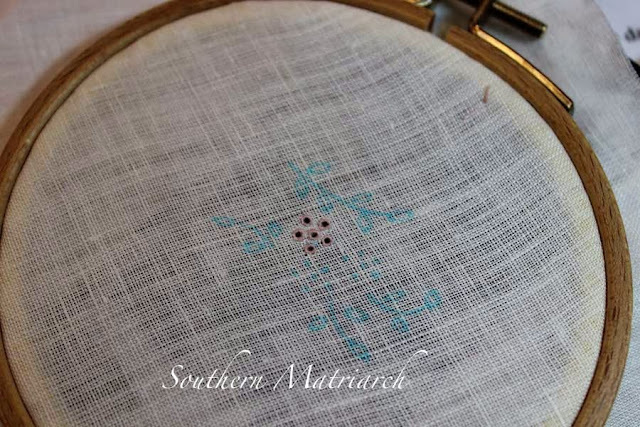 One last class, Ultimate Elegant Pincushion with Judith Adams. I snapped this photo before I finished stitching, it isn't complete but its close! You can't beat a class where you walk out almost finished. Another convention wrapped up. I enjoyed the stitching, learning and eating; my favorite thing about convention? The people! I so enjoyed meeting new people, getting together with familiar faces as well as getting to know the faculty even better. I can't brag on this organization enough. It has been a real blessing in my life for 21 years. Convention for 17 years. I obviously love it. That is this year's wrap up, faithful reader. What are you working on? Martha..I just lived the week with your descriptions! Once again, I have promised myself that I will not miss another. See you next year in Orlando!! Thank you for giving us a peek at all the fun. 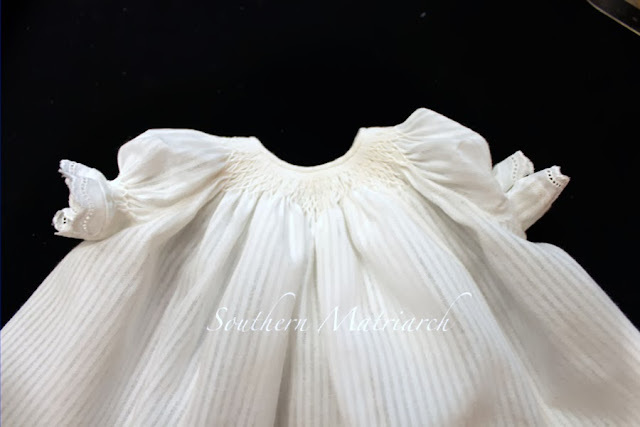 All those Wee Care gowns! I will be looking forward to seeing your pincushion. Thank you for your support of SAGA and congratulations on the Design Show win! I look forward to seeing you at convention 2014 in Orlando! Nothing better than spending times with sewing sisters, and sewing sisters willing to spend time cutting lace! It was another wonderful convention! Dear Martha...I just thought that you would like to know how much a "northern girl" (ME!) 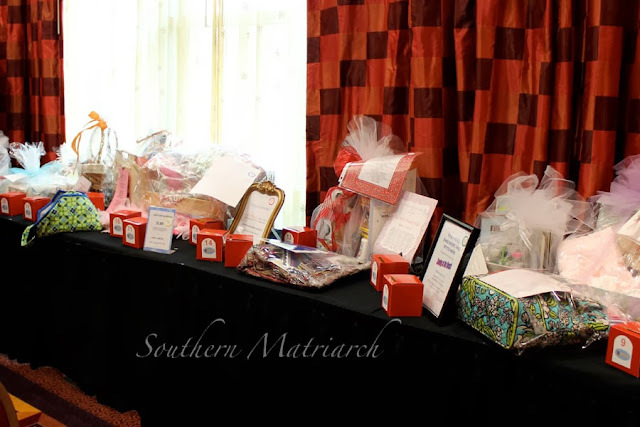 appreciates the Southern Matriarch qualities of Southern charm, manners, and family connections in her life...smile! I have just gained a daughter-in-law from Georgia who exemplifies these qualities in the most wonderful way, and I am thrilled that she is a member of our family..she is a blessing beyond what we could have ever hoped...!! !